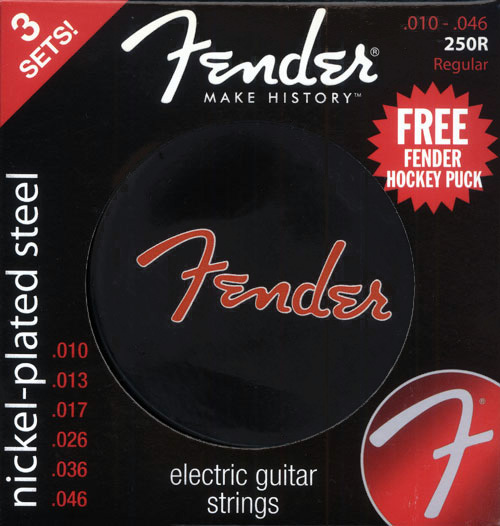 Genuine Fender® 250 Series Nickel Plated Steel Electric Guitar Strings. 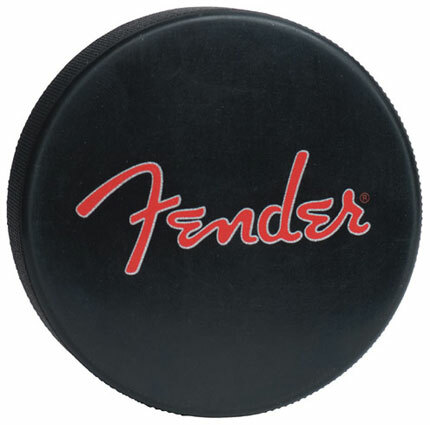 Each box includes 3 sets of strings and a free limited edition Fender® Hockey Puck. 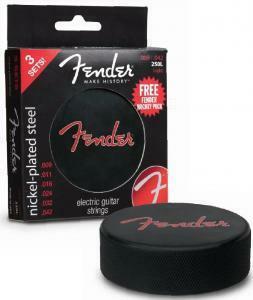 Bulk packaged, will NOT include black and red retail packaging box as shown on the right and below. Available in regular gauge only, 10-46.